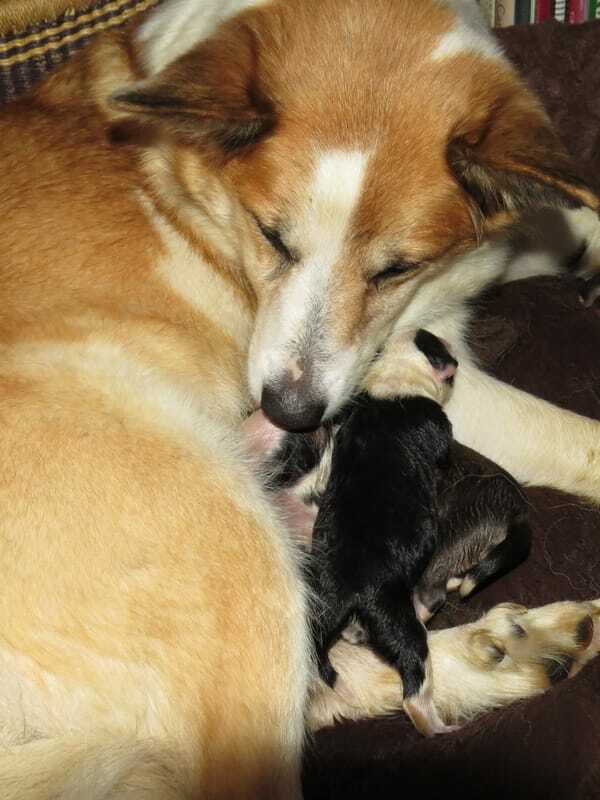 Brynja had her first two litters in the evening. I decided to run errands in the afternoon so that I'd be back in time to make sure everything went smoothly with what I was surmising would be the birth of 3 puppies later that night. When I got back a few hours later Diane told me that two had been born just before my return. We were having some last minute work done in the bathroom where we keep the whelping box, so Brynja was in our bedroom in her bed, a nest like bed that she seemed to think would be a perfectly good place to have puppies because she had been nesting in it all day. The first puppy is a gold female. Since this is Brynja's last litter, I migrated toward the end of the alphabet to look for names. Brynja means shield maiden so it seemed entirely appropriate to choose the name Valkyrja (Valkyrie in English; it means woman warrior) for one of her puppies. This pup is probably going to look a lot like her - we'll find out if the personality matches as well. 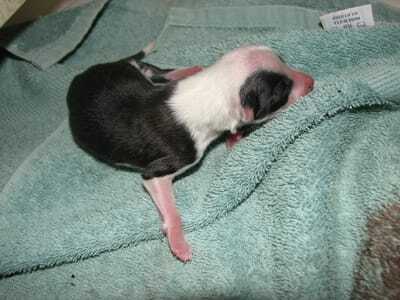 The second puppy is a black tricolor female. After choosing a combative name for the first puppy I thought something to reflect the breed's friendly disposition would be an appropriate balance, and Vina (friend) was an obvious choice. Shortly after I got home the third puppy was born, a sable male. All of Brynja's puppies had been born in winter and it seemed appropriate to have her last pup reflect that fact. Vetur is the Icelandic word for winter - it also resembles Galdur's name in form and tone. 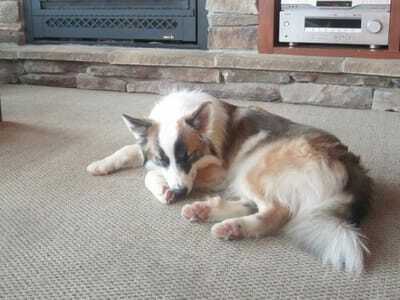 Puppy 3 ♂ Vetur (Winter) is now living in Pocono Pines, Pennsylvania with his owner and her older Icelandic Sheepdog. These pups are going to look a lot like Vargur from Litter 1. Here he is as a puppy and at one year old. Valkyrja and Vetur will have a very similar color pattern - sable and gold, but all three will have the white stripe down the center of the face and a pronounced white ruff.